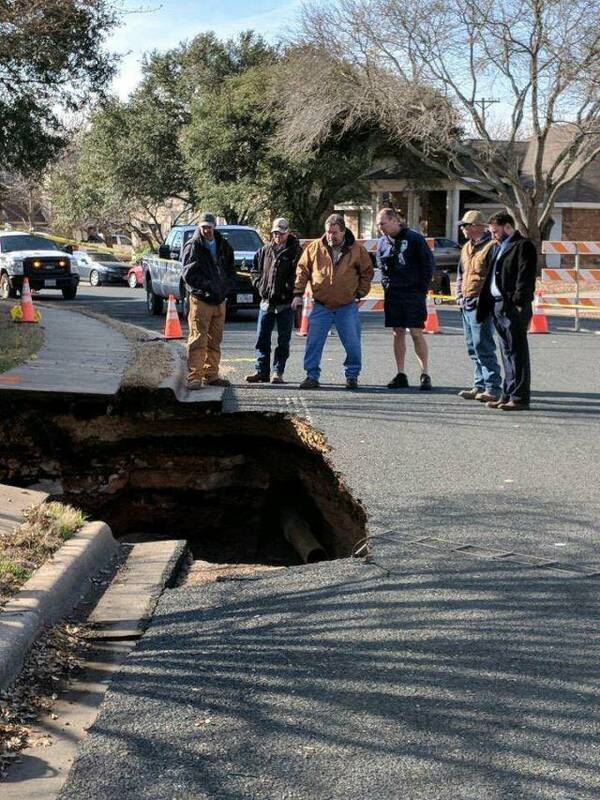 The roof of the cave collapsed on the 8400 block of Cambria Road in Williamson County, leaving 10 homes in the Brushy Creek neighborhood without water. 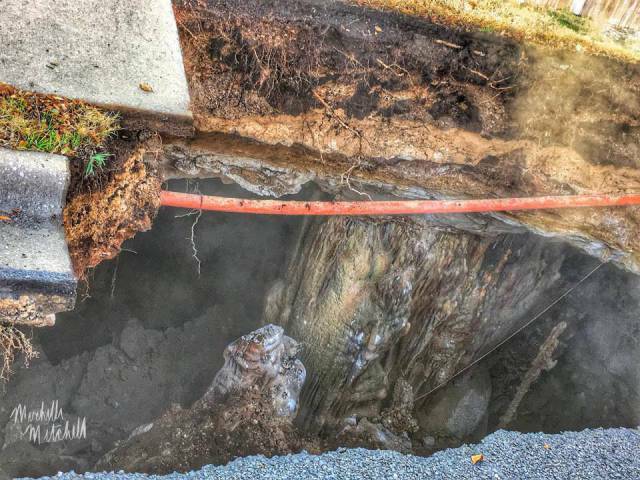 Barriers have been put up around the sinkhole, and many photos of the sinkhole and cave have now surfaced on social media. 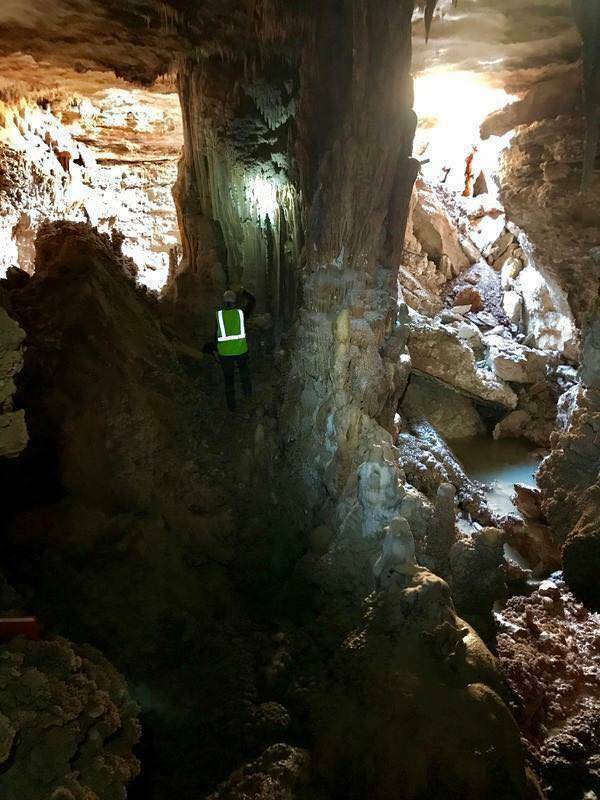 An official with the Brushy Creek Municipal Utility District confirmed that the photo showing a person walking in the cavern was taken in the same cave where the sinkhole is located on Cambria Road. 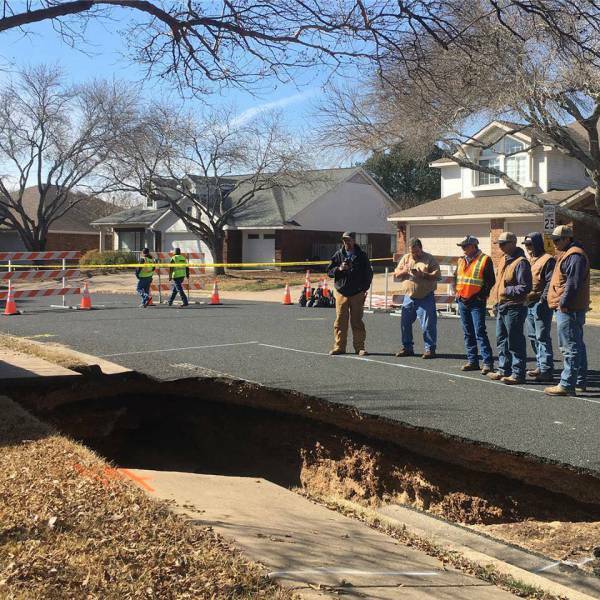 The county and the Texas Commission on Environmental Quality are working to determine the best solution to repair the road after the cave was revealed, according to a Williamson County Facebook post. 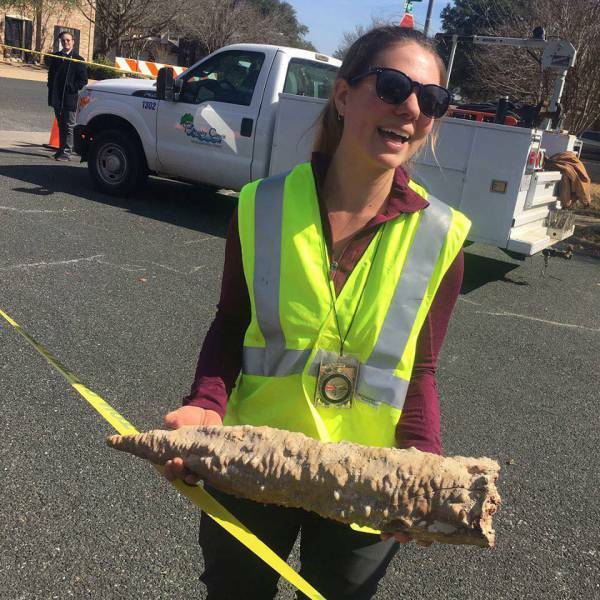 For now the way is blocked with yellow tape of forcefield and people are instructed not to angry the Mole Men... ok, the Mole People one is a joke.